The stress that multitasking causes at work doesn’t simply go away at the end of the work day. Instead stress follows you home, where it can interfere with your most important relationships and eat away at your ability to relax. At bedtime, a head and heart still roiling with stress and anxiety can interfere with sleep, and wake you up in the morning with a feeling of fear that drives you to try to multitask more. Why is this? Why is multitasking so detrimental to productivity? Executive coach Peter Bregman says,”We don’t actually multitask. We switch-task, rapidly shifting from one thing to another, interrupting ourselves unproductively, and losing time in the process.” [Emphasis mine]. According to this article, “The human brain doesn’t multi-task like an expert juggler; it switches frantically between tasks like a bad amateur plate-spinner.” That’s stressful. This self-imposed stress raises levels of the stress hormone cortisol which is associated with weight gain, depression, and poor wound healing. Increased cortisol can also predispose us to being more aggressive and impulsive, and it can raise risk of cardiovascular disease. The danger for students age 12 – 26? Multitasking directly interferes with learning. I recently wrote about how your child’s habit of texting, emailing, and using social media during college classes could cost your family $28,000. You can find that article here. But multitasking hurts outside-of-class work too. It’s important that students get the message on the dangers of multitasking early on. 1. 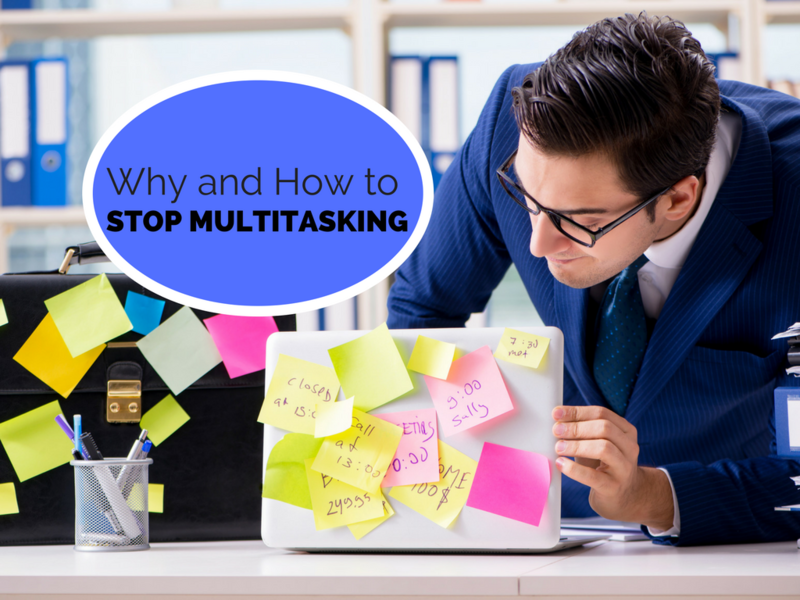 Set aside a period of time where you refuse to multitask. It may be an hour, a day, or an entire week. 3. During your “deep work” time, eliminate incoming notifications on your phone and computer. You might consider changing the settings on your computer so that it never notifies you of any incoming notifications, and then simply put your phone on “do not disturb” and turn it upside down. 4. If you have children, give them a way break through and get to you in emergencies. My children know that if they call me twice, quickly, they’ll break through the “do not disturb” I’ve set on my iPhone and get straight to me. 5. Make it a practice to do only one thing at a time. Notice how your purposeful focus allows you to get more done, and how it increases your personal satisfaction with life. Do you ever feel #stressed and #anxious—like you’ll never get your work done? #Multitasking may be the problem.This article will help you reclaim your #productivity, reduce your #stress, and more deeply enjoy your time away from #work. I hope that freedom from multitasking will give you time and space to think a little more about the future. Do you know people who struggle with work stress, anxiety, and an inability to relax? What are the best strategies you’ve found for relieving stress, increasing productivity, and relaxing more in your time off? Comment below or LIKE Jeannie Burlowski Author on Facebook, find this post on that page, and let’s talk about it there. Jeannie is a full-time author, academic strategist, speaker, and podcast host. 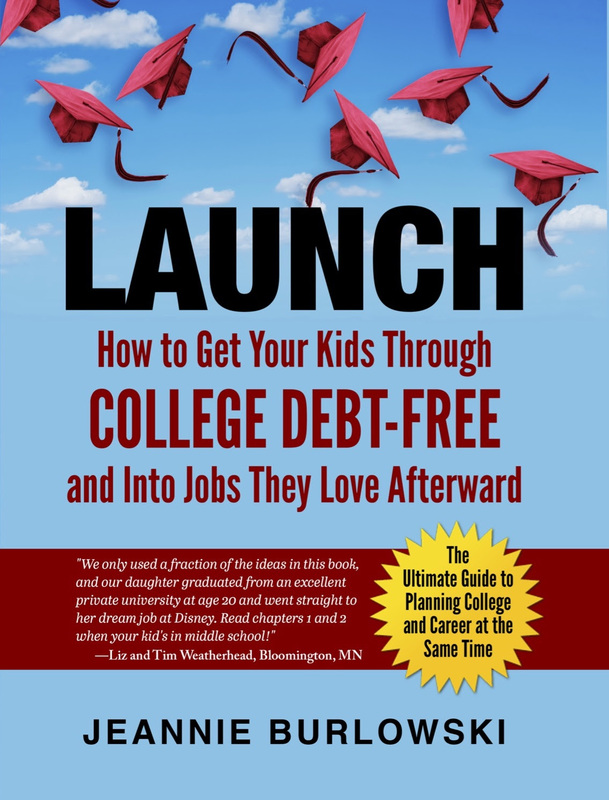 Her writing, speaking, and podcasting help parents set their kids up to graduate college debt-free and move directly into careers they excel at and love. Her work has been featured in publications such as The Huffington Post, USA Today, NerdWallet, and US News and World Report.